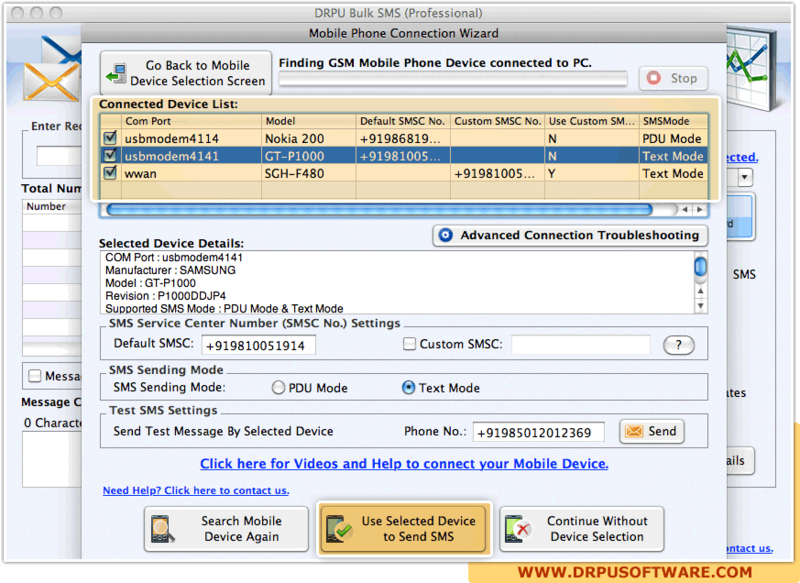 Select particular device from Connected Device List to view corresponding details, click on Use Selected Device to Send SMS button to use selected device for message sending process. 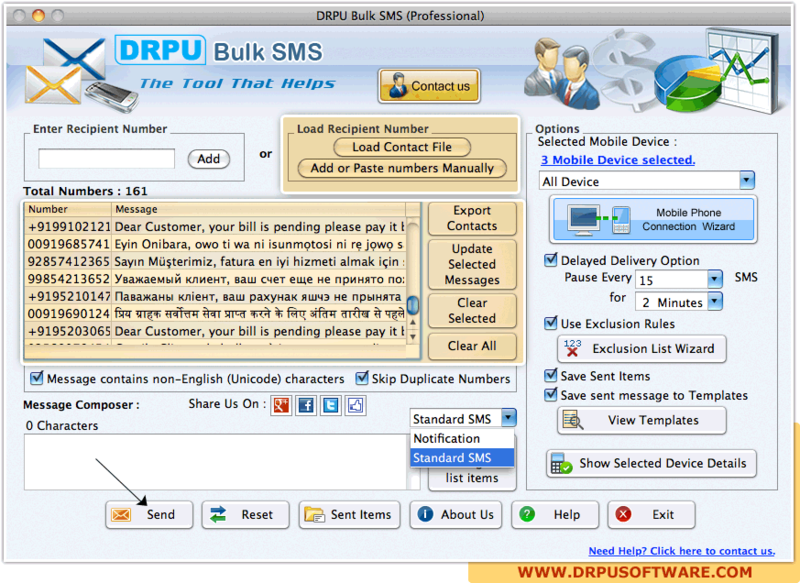 User can export contact numbers, update selected messages or clear selected message as per requirements. 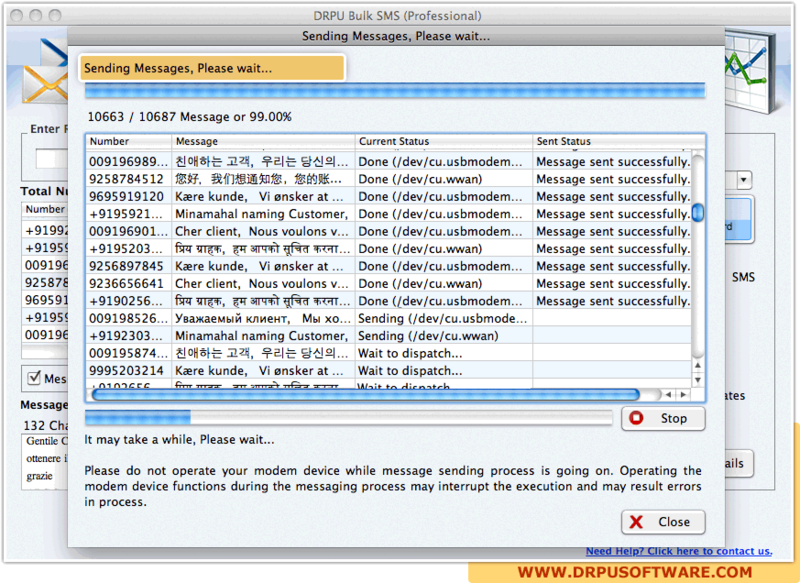 Click on “Send” button for message sending process. Sent messages save in template list. 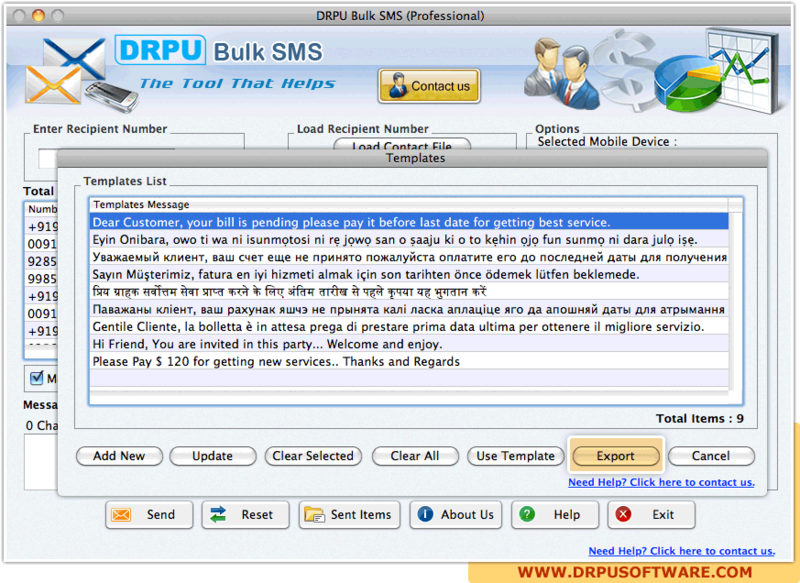 User can export, add new, update and clear any selected message as per need.